You Are Here: Home > Why Service With Dale Willey? As a vehicle owner, one of the best things you can do to protect your investment is to properly maintain and care for your vehicle. This includes staying on top of routine maintenance and occasional repairs. When the time comes to service your vehicle, we know that you have many different facilities to choose from. That’s why we go above and beyond at our Lawrence Honda service center to provide a degree of care that you simply won’t find anywhere else! Taking the time to care for your vehicle may not always be exactly how you want to spend your time, but it is important. To help lessen that burden, we aim to make things quick, easy and convenient. That means getting you back on the road sooner, with less disruption to your busy schedule. To accomplish that goal, we offer an easy VIP appointment process that ensures you get the help you need when it’s convenient for you. If you’re sticking around while we carry out your service, you’ll enjoy a free Starbucks cafe. If you need to be on your way, we offer a shuttle service and loaner vehicles to get you where you need to go. In addition, we help to make maintenance more affordable at our Lawrence facility with Honda service specials. These valuable offers are sure to help you save on key procedures! Your car is composed of many different parts and components, and it takes an expert to properly care for them all. 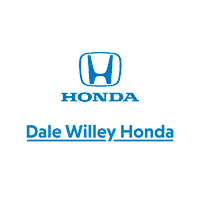 That’s why the Dale Willey Honda team is made up of factory-trained technicians with access to the latest state-of-the-art diagnostic equipment to properly address any issue you encounter. We also offer a complimentary diagnostic checkup during every visit to help you stay in the know regarding your vehicle’s health and any service you might need down the line. As a result of the expert care we provide, we’ve received Honda’s Express Service Elite status. This means we’ve excelled in each of four areas, including: completing services in a timely fashion; charging customers fairly; reviewing a multi-point checklist with our customers; and completing express services in 45 minutes or less. Even more impressive, we’ve received this status from Honda for the past five years running! For a service experience that you can count on, look no further than Dale Willey Honda. We invite you to schedule a service visit with our team by contacting us online or by calling 785-843-0550 today!